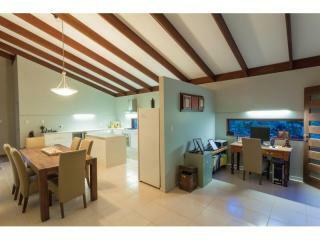 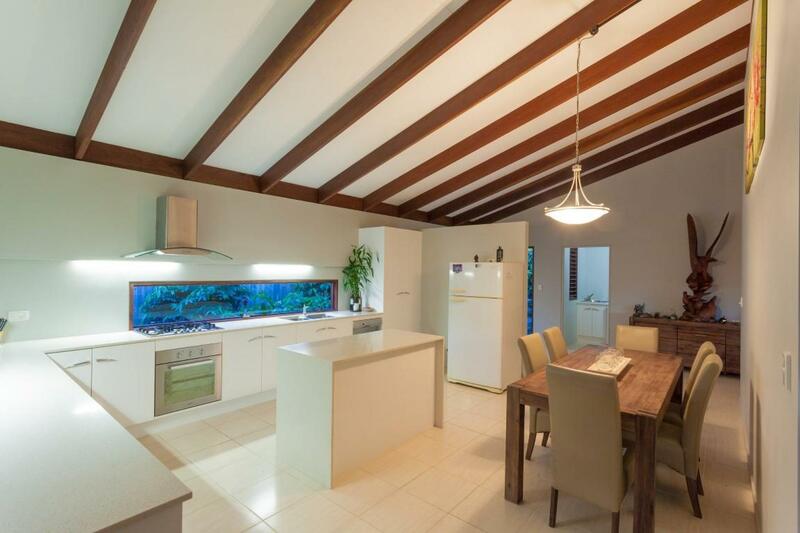 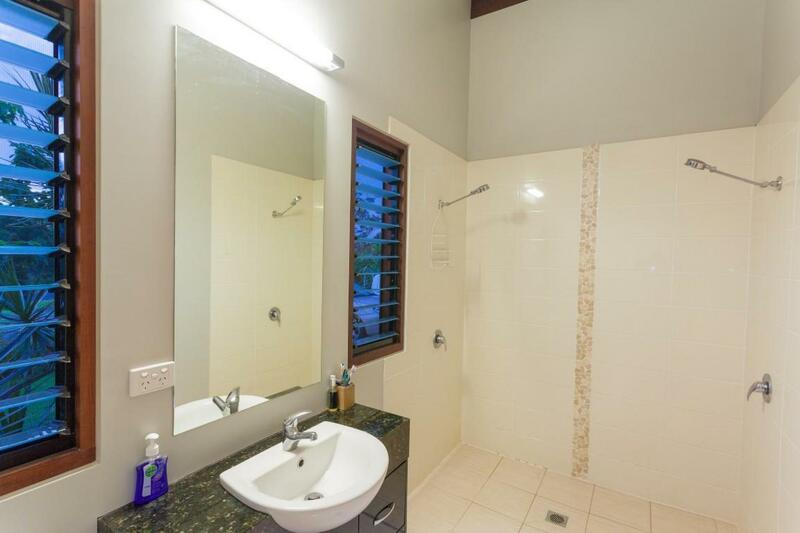 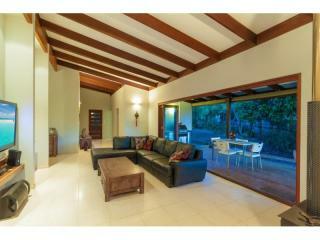 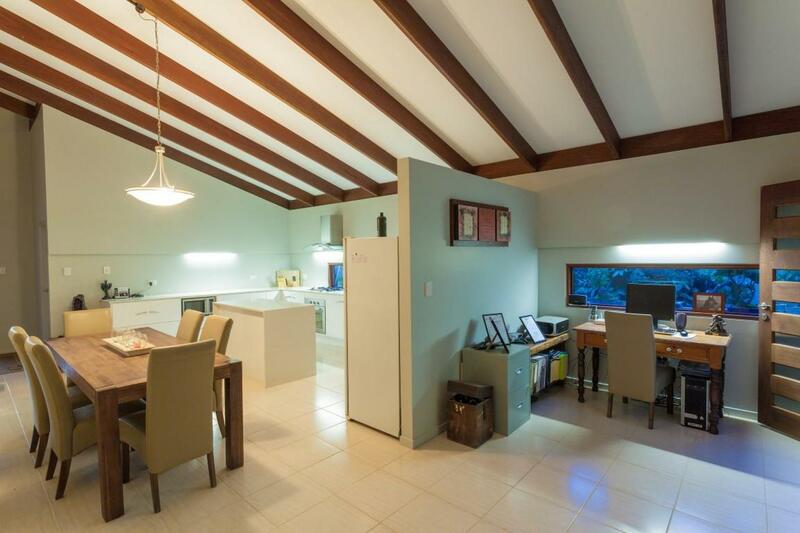 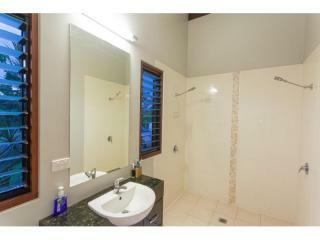 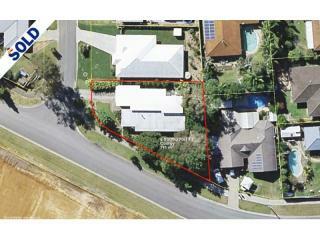 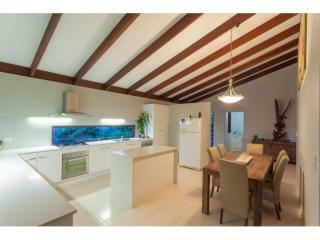 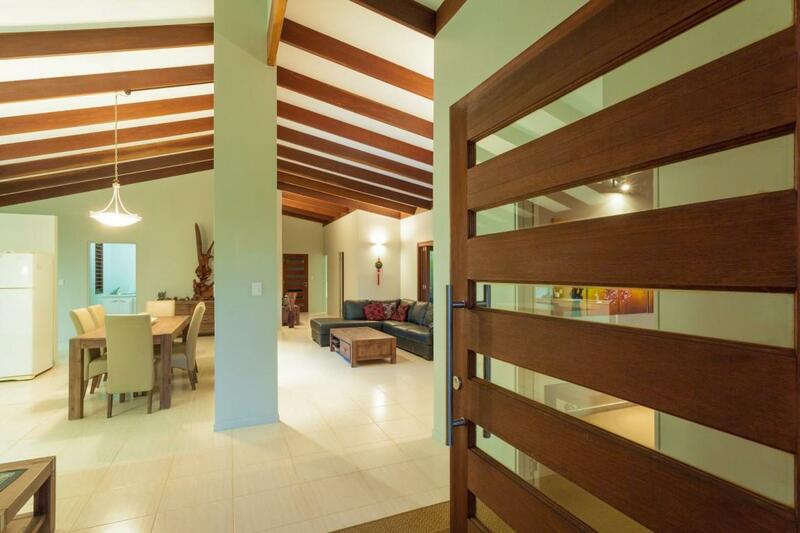 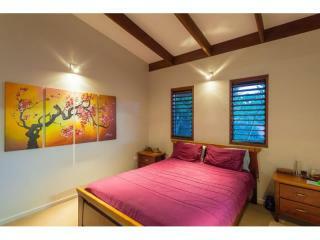 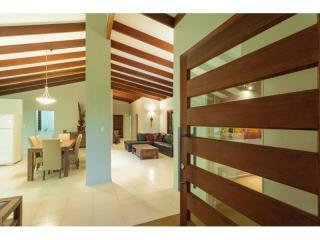 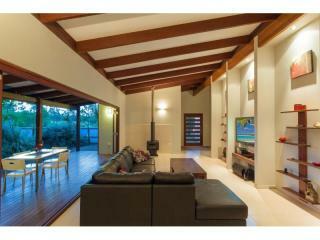 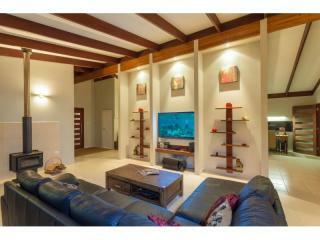 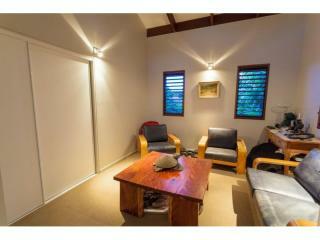 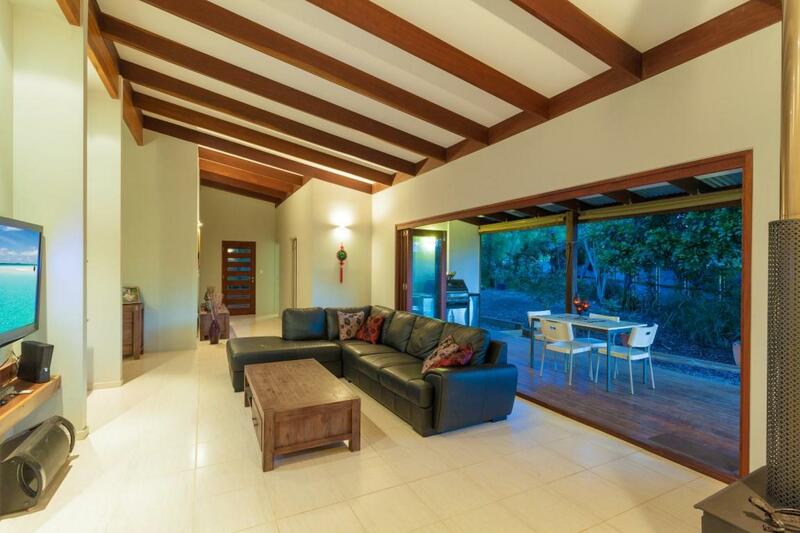 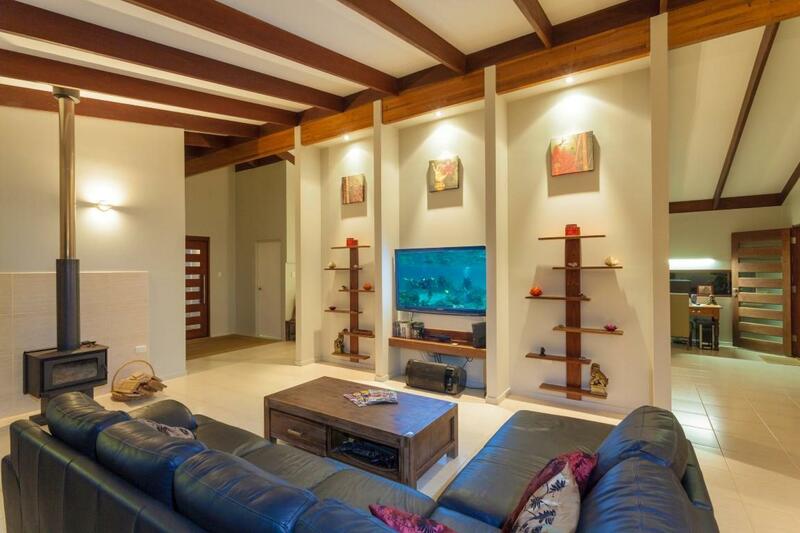 Set on 791sqm, this lovely, unique and modern home has clean lines throughout with quality fixtures and fittings. 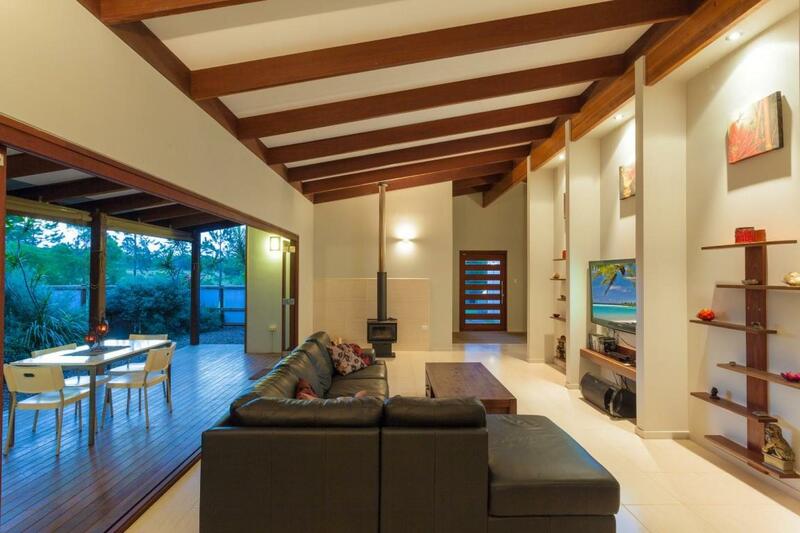 The 4.3 meter vaulted timber ceilings and wide hallways add to the sense of space and openness. 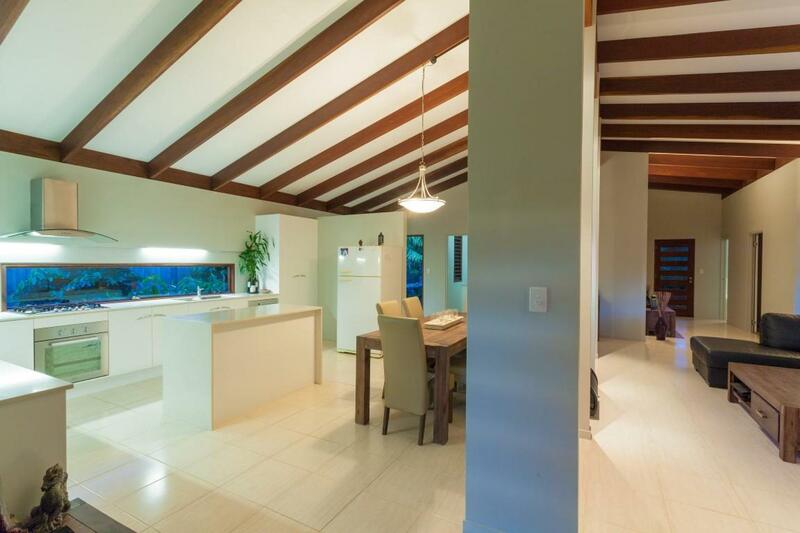 Sleek neutral floor tiles run throughout the open planned dining, lounge room and kitchen. 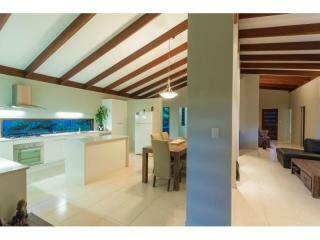 The 2-Pac kitchen incorporates Caesar stone bench tops and integrated wall lighting for a stylish, minimalist aesthetic. 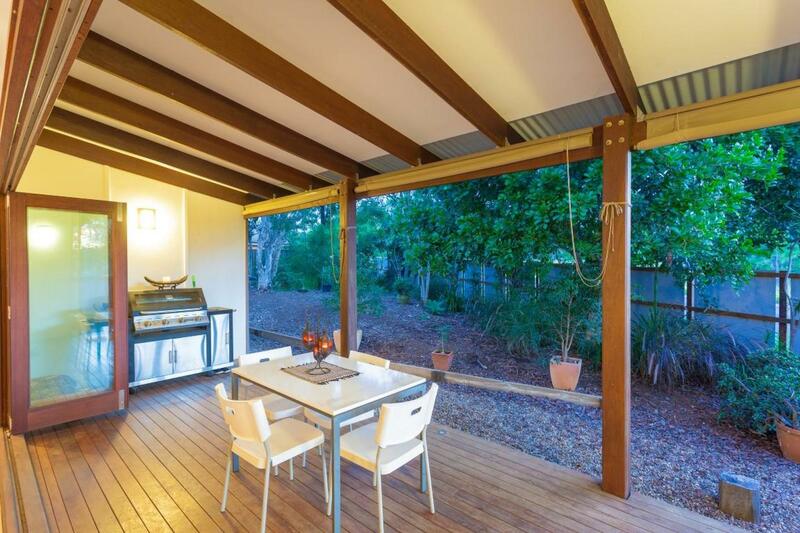 A wall of bi-fold timber doors leads directly out to a private deck perfect for enjoying the benefits of indoor-outdoor living. 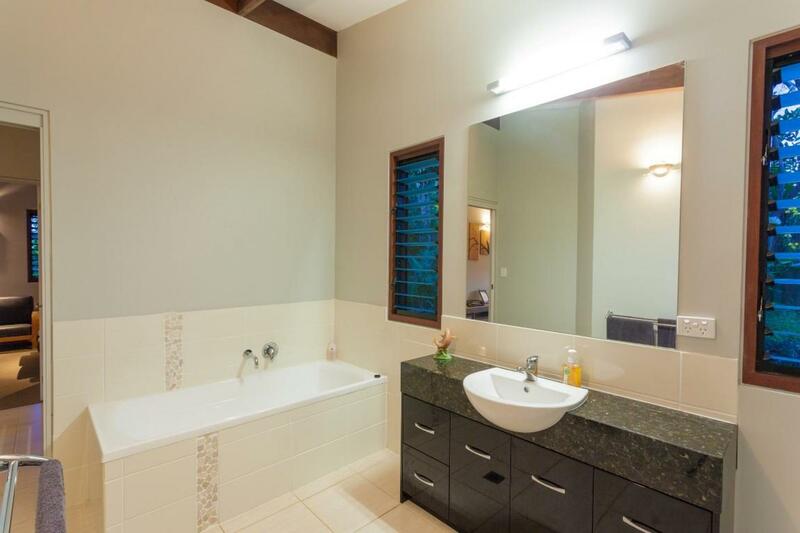 The main bedroom offers a nice separation from the other bedrooms and features an ensuite with marble vanity and double shower. 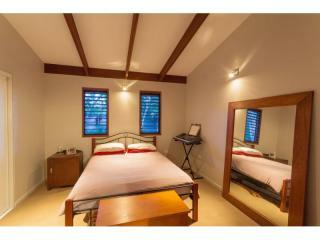 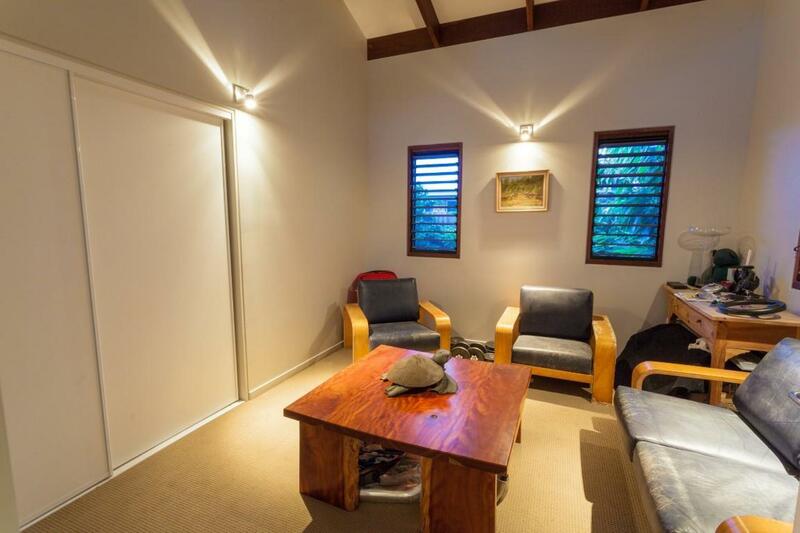 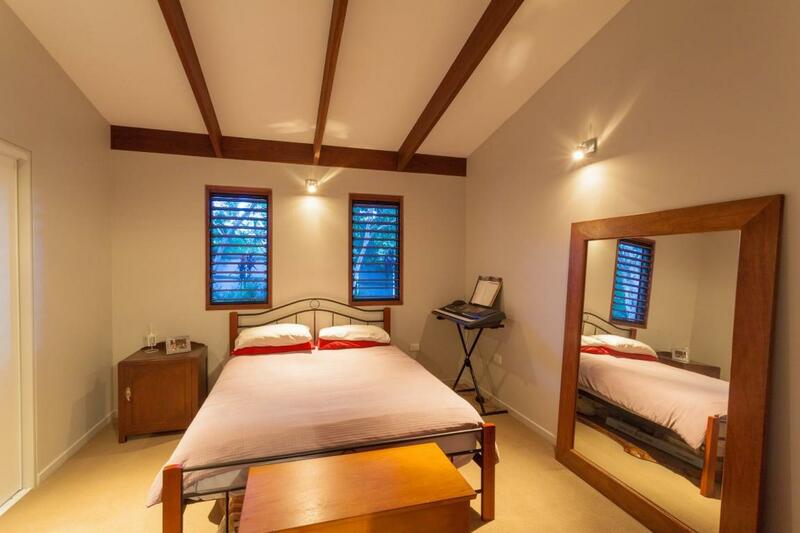 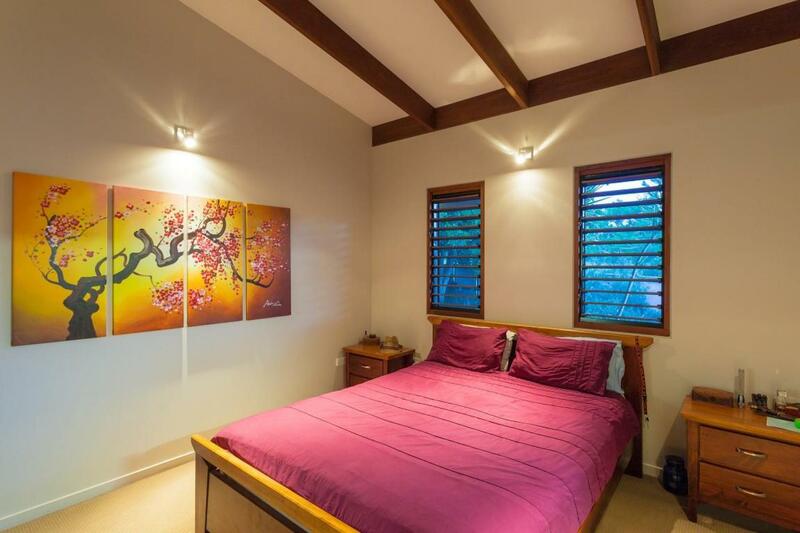 All 3 large bedrooms are carpeted and include built-in wardrobes and character timber louvers. 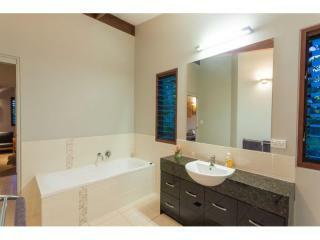 The property has easy care gardens and a 2500L water tank supplemented by town water. 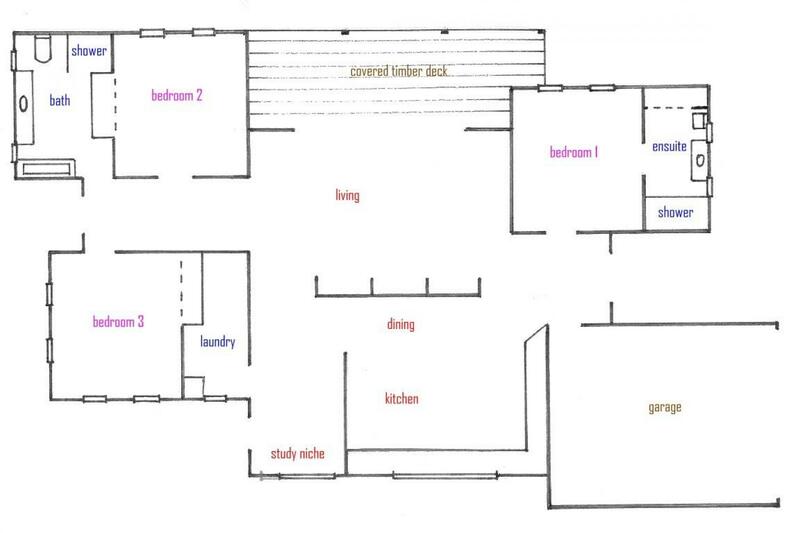 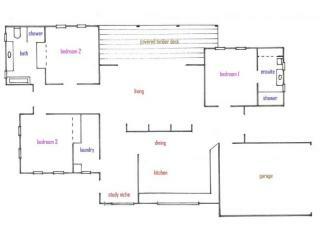 Storage space is plentiful with a double remote entry garage and plenty of cupboards inside the home. 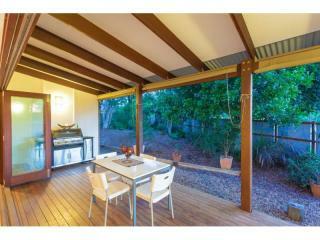 Sell the car and walk to town and enjoy all that this thoughtfully designed home has to offer.